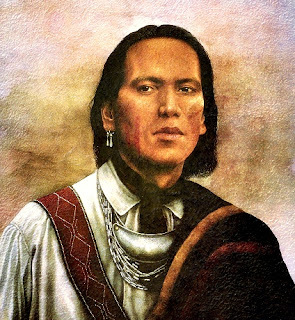 A new Map of the Tribal Nations has been created by Aaron Carapella, an Oklahoma native who is of Cherokee and European ancestry. Carapella's map was over a decade in the making, having spent approximately 14 years of study and research to create an accurate representation of how each original Nation looked before contact with non-indigenous people. This map is truly a testament and tribute to each Native American nation and their unique and original place in the history of North America. Carapella's map documents every known Native American tribe that was in the Unite States in Pre-Columbian times in the approximate year of 1490. All of the nations are documented in their original locations, before the European invasion affected their movement and displacement. And most of the names are given in their own language, rather than the names given by Europeans or other tribes. 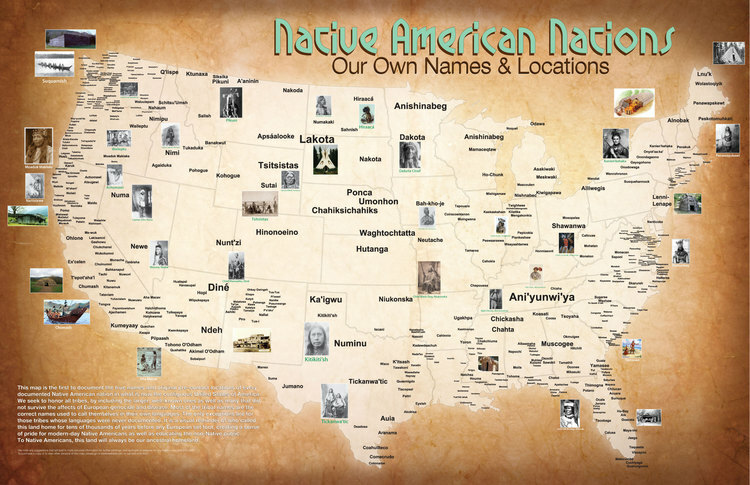 Carapella says that this map is "a tribute to all of those forgotten tribes whose names had been lost to the wind, but who live in the hearts and minds of modern-day Native Americans, who managed to survive largest full-scale holocaust in man's history. 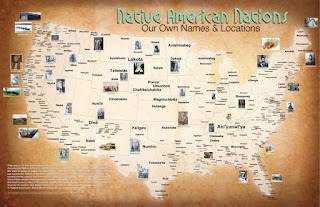 We also honor the indigenous Nations of this land by giving them ownership of their names for themselves." There you can find more information about the map, photos, news stories, and more. You can also download a small PDF version of the map, or purchase one of several full size 35x52" paper versions.